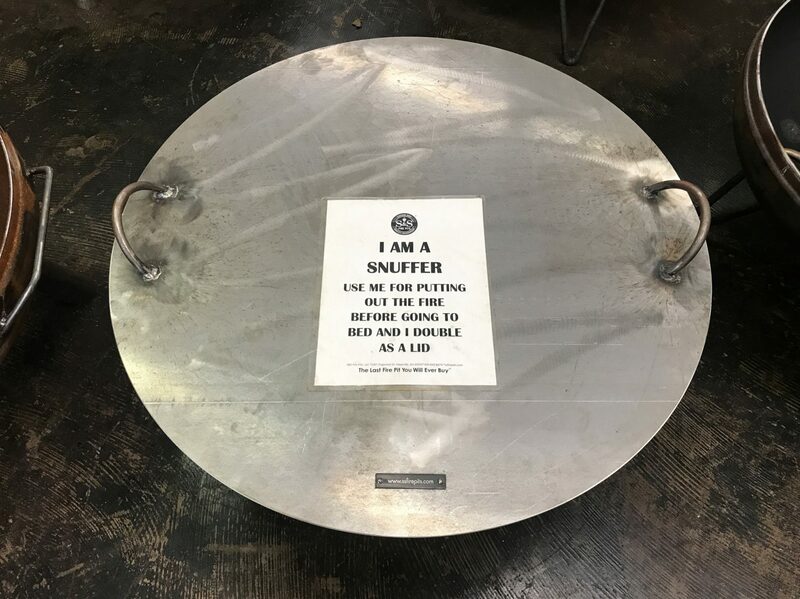 All our snuffer lids are designed for the peace of mind. They will suffocate a fire at the end of the night so you can go to bed without worrying. They can also double as a lid to keep the outside elements out of your pit. They are made using high quality plate steel. Steel will oxidize and form an outside layer of rust which will help to protect the internal steel. Your snuffer will eventually match the same patina as your fire pit, which goes through the exact same process. The oxidation process is a natural process which is controlled by the environment in which it is in. By using thick gauge steel, we slow the process down significantly. You may choose to paint your snuffer with a high temp paint which will form a bonding layer between the steel and the outside elements, but you may find yourself doing this once a year. Otherwise, you can choose to let the natural process occur and simply leave it alone. 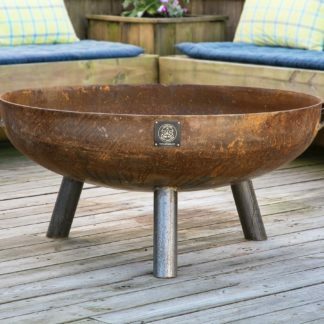 This handcrafted 42” elliptical Fire Pit sits approximately 20”off the ground. 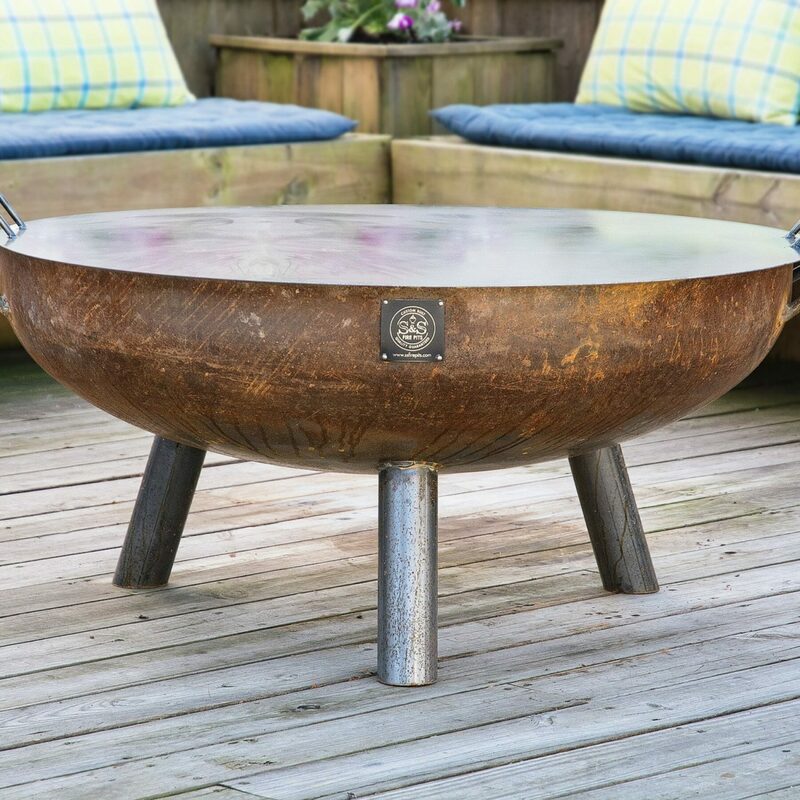 This fire pit is all hand-welded; it has a tripod legs system for a base, custom hand forged handles, has a 1⁄2” drain hole to keep water out, comes with a free handcrafted 46” Fire Poker. 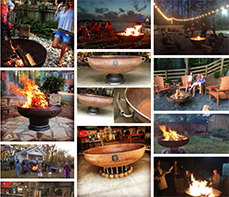 This Fire Pit is designed to easily service 2-30 people at any gathering.